Want to get that sweet drone shot of a golf ball flying through the air, or that cool aerial photo of all the holes in a pristine golf course? If you were planning on making those shots happen during this year’s PGA tour, don’t. Odds are, unless you have permission from the FAA then it’s illegal. The PGA Tour is happening this weekend at the TPC Scottsdale – Stadium Course, and drones already seem to be posing a problem. Dozens of drones have been spotted flying illegally already over the past few days — and the main event hasn’t even started yet. More than 250,000 attendees are expected to attend the PGA tour’s main event day on Saturday. That’s according to drone detection company Dedrone, which is being deployed to look for risky drones throughout the weekend. 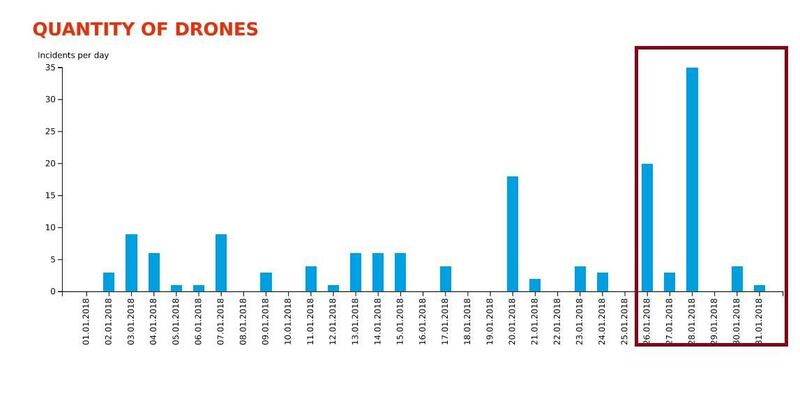 Last Sunday alone, Dedrone detected about three dozen “drone intrusions” in the PGA Tour area, which means a single drone entering the specified protected airspace multiple times or multiple drones on a single occasion. 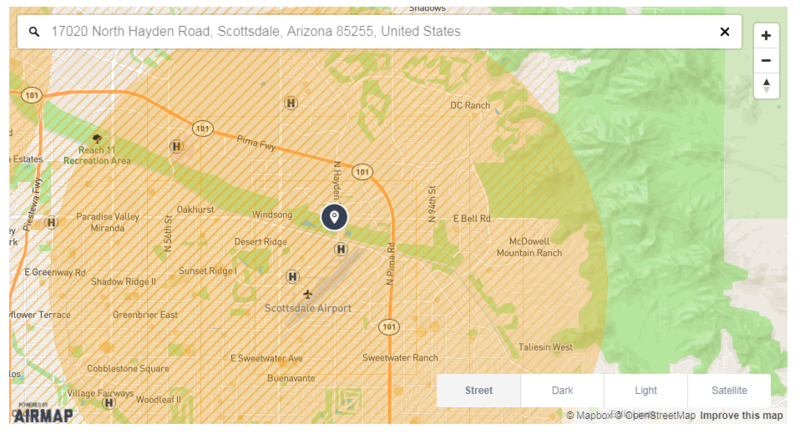 Here’s Dedrone’s count of incidents in the Scottsdale area, ahead of the PGA Tour. The PGA tour is being held at the TPC Scottsdale-Stadium Course, which is not far from the Scottsdale Airport. Commercial operators cannot legally fly within five miles of an airport without permission, and recreational operators are advised to give notice for flights in that area, according to the Federal Aviation Administration. Beyond just flying in restricted airspace, drones taking videos of the event may actually risk violating not just FAA rules, but copyright and IP laws. If the drone is streaming video of the PGA Tour, that actually may violate the broadcasting rights of NBC and The Golf Channel, according to a Dedrone spokesperson. Dedrone says it can track the specific drone, the time it’s in the air, and how many times it’s visited the site. The San Francisco-based drone startup also claims it can distinguish between a whitelisted drone (like if the police department were to do their own surveillance) vs unauthorized drones. 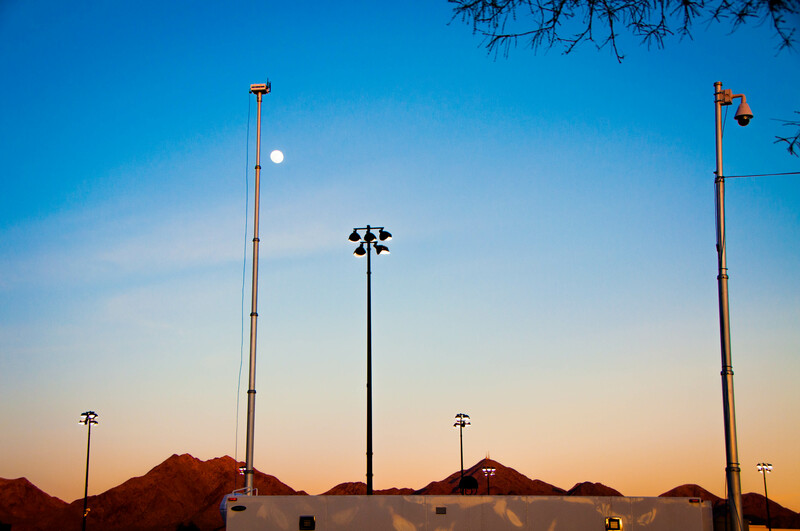 Dedrone uses sensors, including RF/WiFi scanners, microphones and cameras to collect data and determine whether or not a drone is in a certain area, as well as analyze its flight path and the type of drone.